Having a blog is known to be a good SEO pratice as it increases traffic to your e-shop. It also allows you to distinguish yourself from your competitors by providing your customers with complementary and relevant information about your products, business, industry, or events in which you participate. 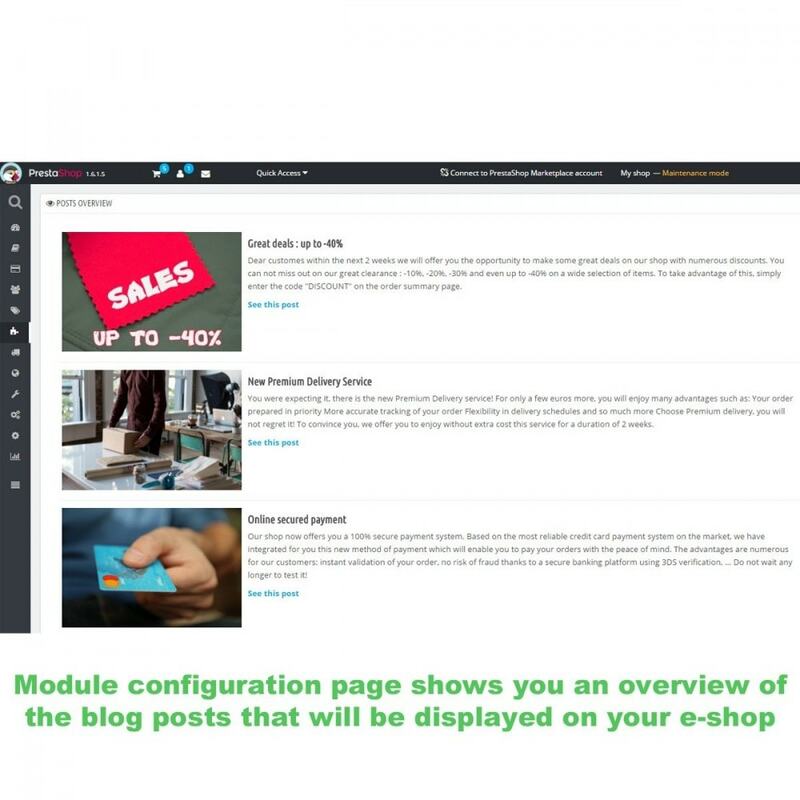 Thanks to our module you will be able to add ''fresh'' and interesting content that your clients will appreciate, and make your website more dynamic. 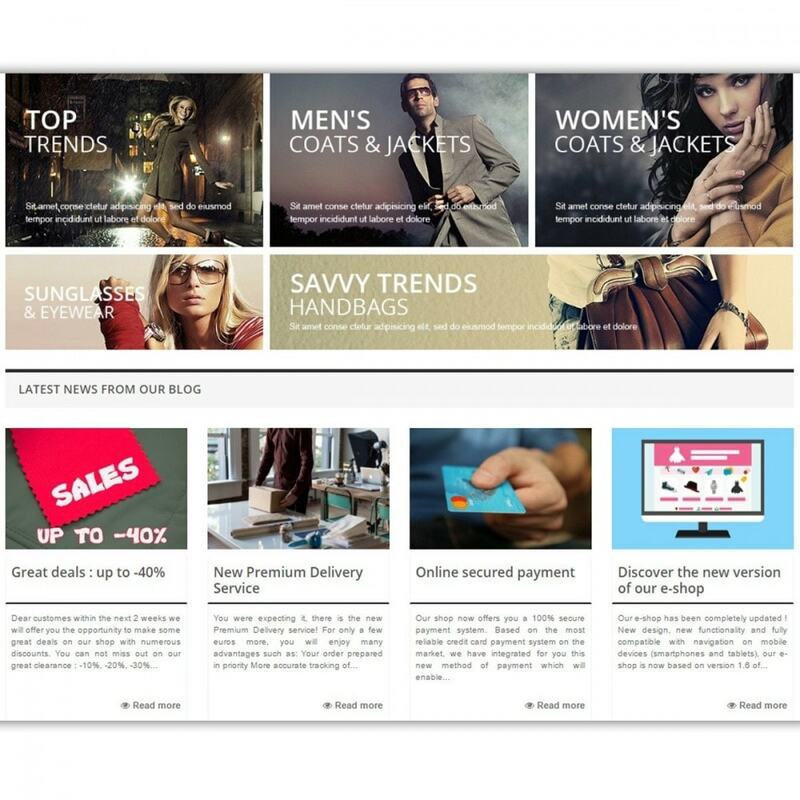 You will also have access to a more quick and flexible system to pass informations than CMS pages. 2 modes are available : by API connection or by database connection. 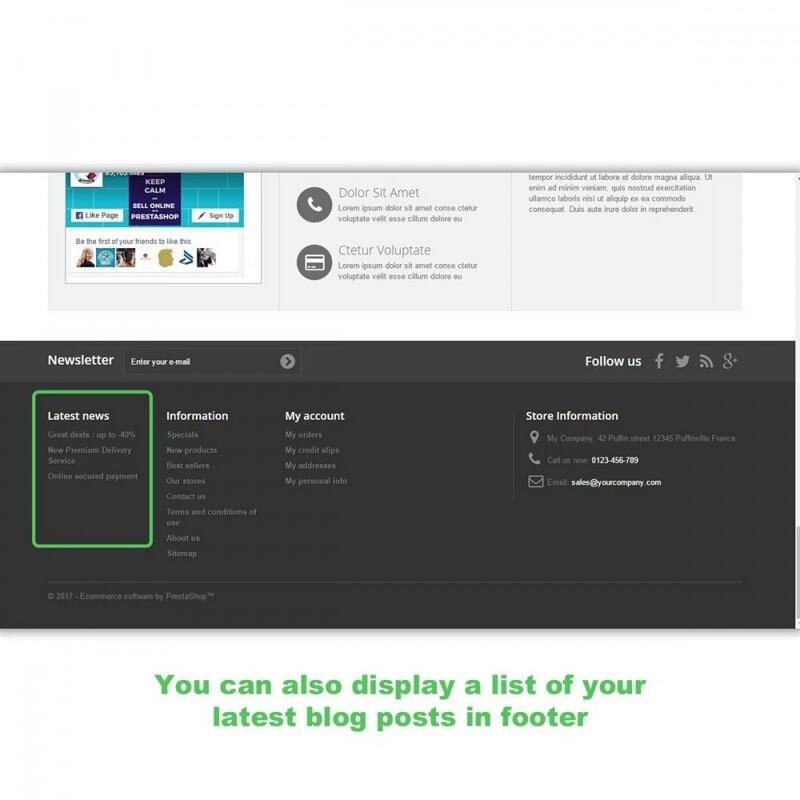 You can display your blog posts in 3 different locations : homepage, columns (left and/or right) and footer. For each of them you can choose the number of posts to display or even disable display. You can choose to order posts by publication date or update date. Your customers will be given additionnal informations about your products, your company, your events or any other details you want them to know. If not, you can either ask your hosting provider to help you with it or simply use database connection mode. Install our module as any other Prestashop module, by FTP upload or by using the ''Add new module'' button of ''Modules and Services'' back-office menu. 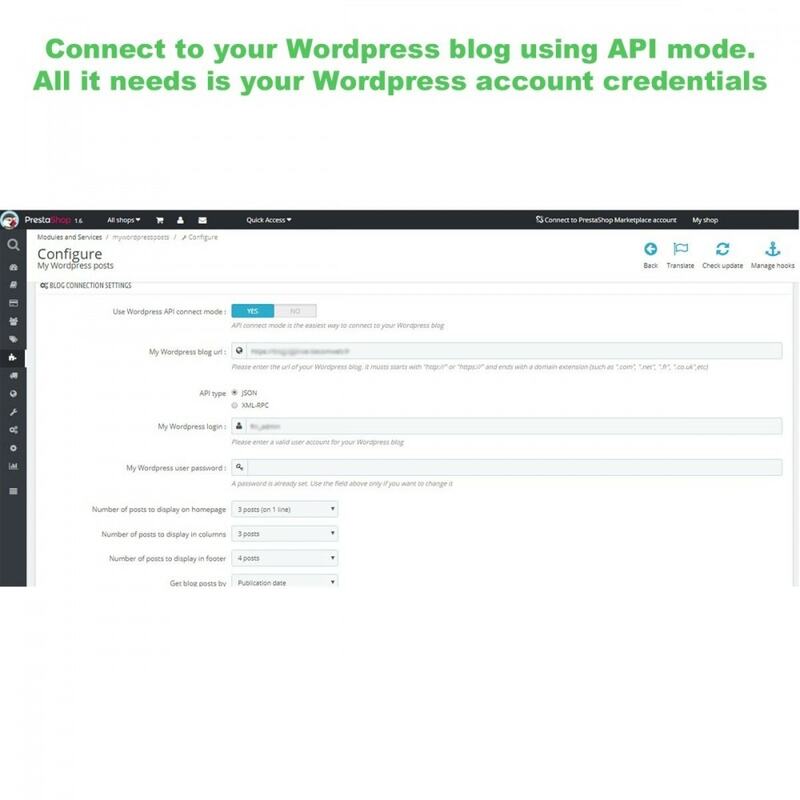 API connection mode only requires your Wordpress blog url and login/password.